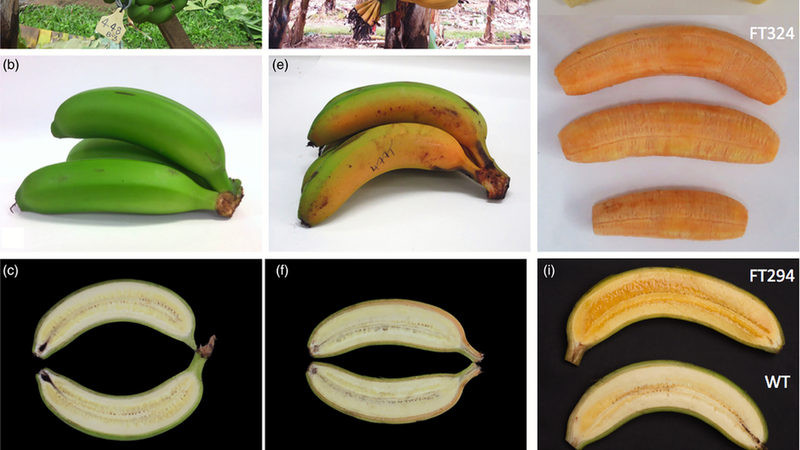 Scientists from the Queensland University of Technology in Australia have made a dark gold-colored banana that is rich in pro-vitamin A, which the body converts to vitamin A. They think it could help save some of the hundreds of thousands of children who die every year from a deficit in the vitamin. The scientists combined the genes of a Papau New Guinea banana species high in provitamin A with those of the common banana. "Achieving these scientific results along with their publication, is a major milestone in our quest to deliver a more nutritional diet to some of the poorest subsistence communities in Africa," said James Dale, who led the research.
. In 2000, a team of researchers created a vitamin A-rich grain of rice but the rice has grown poorly in field trials and still isn't ready for the market.